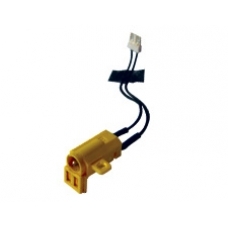 If your AC 5V connector is loose or broken then this is the replacement part you require to fix the issue. This part is where the AC adaptor plugs in to charge the PSP unit and can be easily damaged. Please note that replacing this part requires a small screwdriver. If you are not confident with fitting this part yourself, just follow the link below and order the in-house PlayStation Portable repair service.